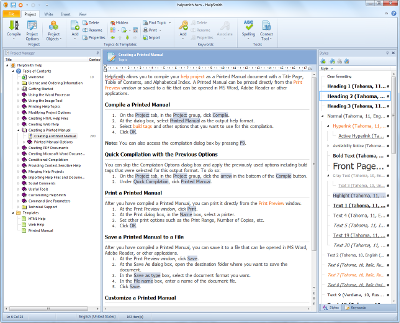 FlyHelp is an authoring tool for Help document authors, technical writers, and developers to create online help. 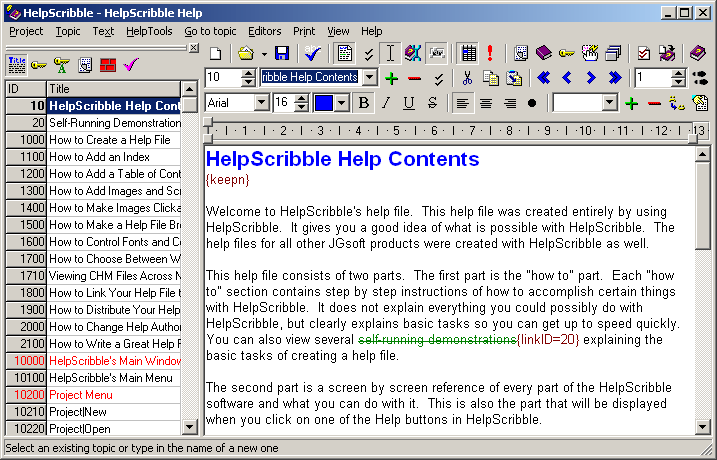 The program provides an easy way to create HTML Help, Web Help ( Browser-based Help ). Drag a folder containing HTML files and drop it onto FlyHelp, then click Compile. How simple it is! And more, it also provides powerful functions for editing HTML files, customizing Help, designing TOC and Index, and so on. 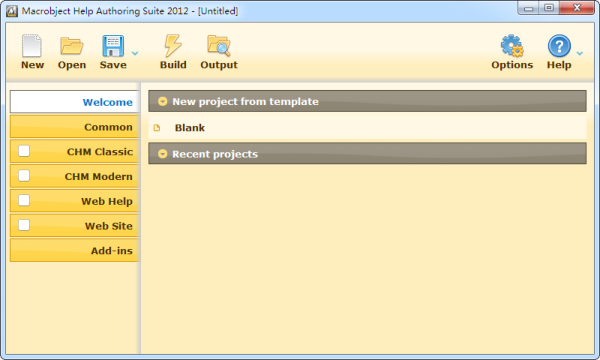 Full-featured, easy-to-use help authoring tool for creating help files from start to finish. 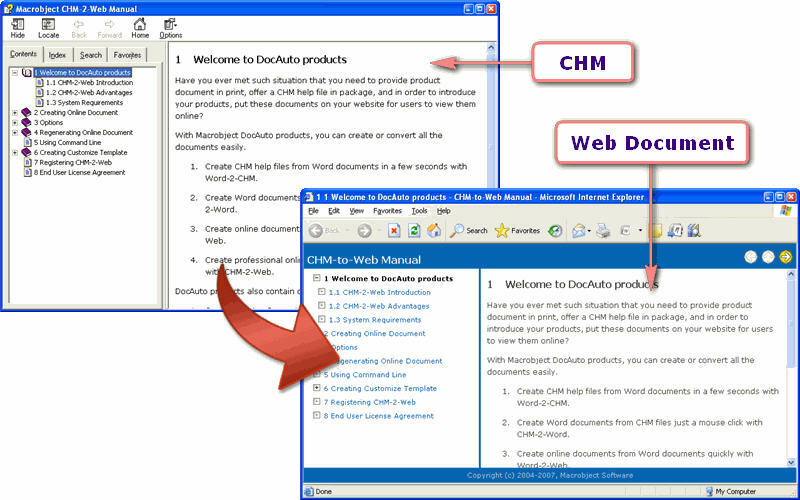 Create WinHelp (.hlp), HTML Help (.chm), a printed manual and online documentation (on a web site) from the same source. HPJ+RTF files created with other help authoring tools or by a decompiler can be imported. Built-in editors for SHG files (hotspot bitmaps), WinHelp macros, contents tree, browse sequences, etc.